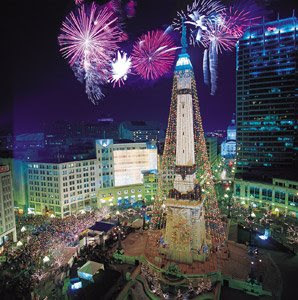 An annual tradition in Indiana is the Circle of Lights in which our giant Christmas tree (the soldiers and sailors monument decorated with lights) is lit the day after Thanksgiving. 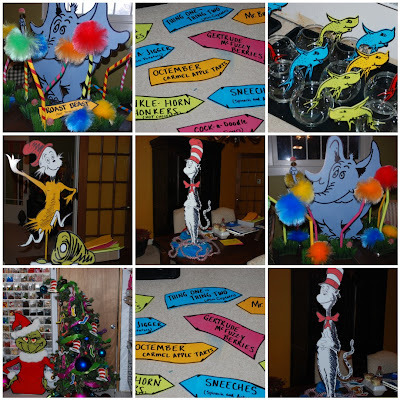 This year we were asked to create buffet decor for the Lilly Theater’s annual Circle of Lights Celebration. 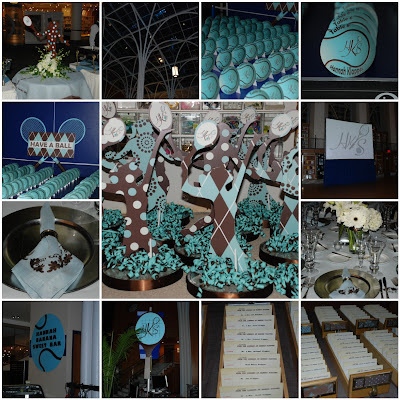 Here are some photos of the decor we created for the event. 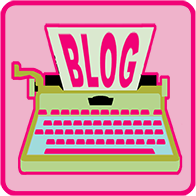 This entry was posted in Uncategorized on November 30, 2008 by Setting the Mood. One tradition I LOVE about Bar/Bat Mitzvah’s is the “Mitzvah” portion. This Bat Mitzvah girl chose the Israel Guide Dog Center for the Blind as her project. She raised money to buy 2 guide dogs to give to the Israel Guide Dog Center to train and become a partner for a worthy blind person in Israel. To showcase her good deed we created these dog centerpieces with a dog bowl base, dog collar and the IGDC logo on top. We also spray painted dog biscuits to sprinkle around each centerpiece. 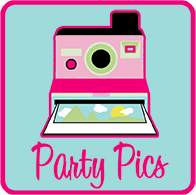 This entry was posted in Bark Mitzvah, Dog Bat Mitzvah, Dog Theme Party on November 23, 2008 by Setting the Mood. There’s nothing like a surf party in the winter to warm you up. We created surfboard placecards for the kids and custom post card placecards for the adults. We used the client’s photos from all their travels for the front of each post card. Several Tiki Huts served as the “Sand Bars” and buffets. Faux flame torch lights were scattered throughout the room with lots of palm trees. Tropical florals and foliage filled the adult room. The kids room was all about surfing. We made centerpieces with the Bat Mitzvah girl surfing a big wave. The table numbers were surfboards that we hung from the ceiling. 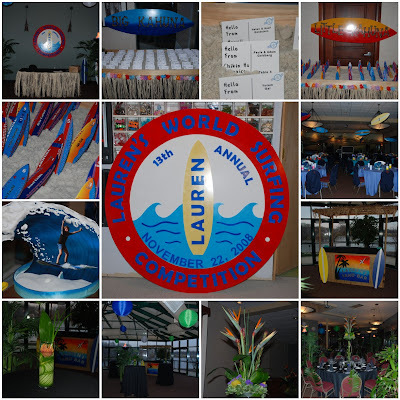 This entry was posted in Surf Bat Mitzvah, Surf Theme Party, Surfboard Centerpieces on November 23, 2008 by Setting the Mood. 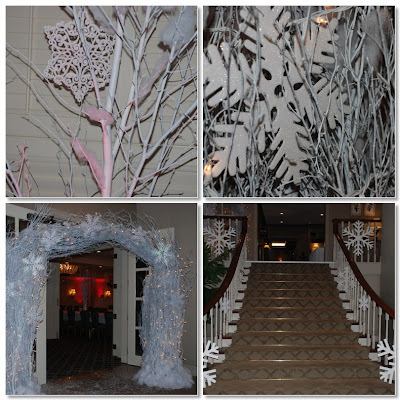 Here are a few photos of our Winter Wonderland Party this weekend. I’ll post more when I get photos from the photographer. The white tree (upper left) was filled with real cotton candy “snow” so that the kids could just pull of the pieces and eat it. We had a “snowball lounge” with white couches and white bean bag chairs. We also used lots of disco balls to create a snowfall effect on the ceiling. 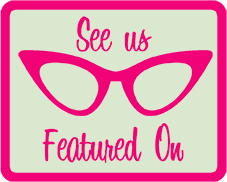 This entry was posted in snowflake soiree, Winter Bat Mitzvah, winter wonderland party on November 17, 2008 by Setting the Mood. I am so geared up to see the new Bond movie…who is with me on this? I pulled together some photos from a Bond party we created last year. 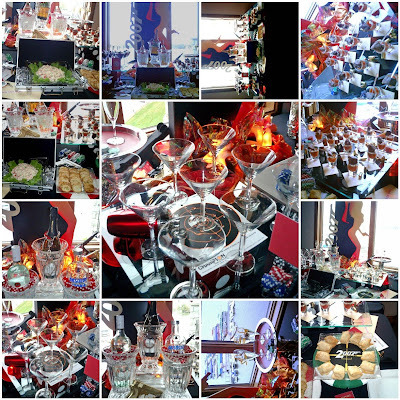 We used faux flames, flashing red lights, poker chips as a base for hors d’oeuvres, glass impact bullet stickers on martini glasses, and acrylic diamonds in a silver briefcase. We also used handcuffs, eyes only packets, giant poker chips, and dice to decorate the buffet. This entry was posted in 007 theme party, James Bond Party, Spy Party on November 11, 2008 by Setting the Mood. Our party this weekend was at the the newly renovated Central Library. What a beautiful venue! The theme was tennis and the colors were robin’s egg blue and brown. We designed the adult placecards to look like card catalog cards and placed them in old school card catalog drawers. The kids placecards were blue and brown tennis balls. Centerpieces were silhouettes of tennis girls in assorted blue and brown prints with the bat mitzvah girl’s monogram. This entry was posted in Tennis Centerpieces, Tennis Party, Tennis Theme Bat Mitzvah on November 9, 2008 by Setting the Mood.